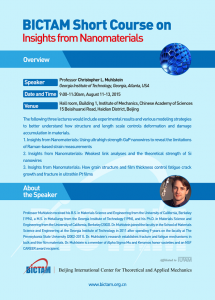 BICTAM Short Course on Insights from Nanomaterials will be held in Bejing in August 11th to 13th. 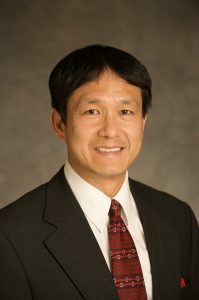 Prof. J Woody Ju from University of California, Los Angeles is invited to teach two half-day course on Micromechanics and Damage – Healing Mechanisms for Heterogeneous and Composite Materials in August in Beijing. 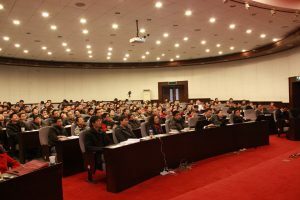 The Advanced Course on Mechanics of Soft Matter and the Graduate Summer School on Mechanics of Soft Matter were successfully held at Zhejiang University, China between December 21st, 2011 and January 4th, 2012. Invited by BICTAM and Peking University, PD Dr. Jörg Weißmüller will visit BICTAM on July 7-18.